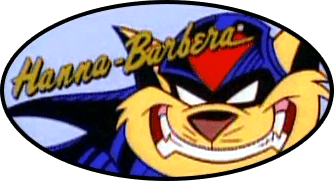 In the debut episode(s) of the series, it's established that Callie Briggs and the SWAT Kats already have a well-established relationship with each other. What's never revealed is just how that relationship started and just how "secret" it actually is. Several authors have used this as an opportunity to supply their own scenarios. My question is, what scenario have you read (or written) that you think bests depicts how Callie Briggs first met the SWAT Kats? The internet obviously. You meet everyone there. I've always thought that the story should go like this: Callie is in danger from some supervillain (probably Dark Kat). The Enforcers can't help her, but the SWAT Kats succeed where they failed. Callie, who already has differences with Feral, realizes that these new vigilantes are just what Megakat City needs. Either they give her the communicator, or Callie asks for it so she can contact them. Callie met Jake and Chance while they were in the Enforcers. First it started with an occasional "hello" passing by in the hallways, then one of them dares the other to talk to her. Chance takes the dare. She's not interested in his sweet talk. Jake tells him he's doing it wrong. Chance dares him to go. Jake refuses. A few weeks go by and Jake seems to run into Callie more, having small talk. "What's it like being Deputy Mayor? ", "What's it like being an Enforcer? ", etc. A few more weeks a small friendship grows. Not romantic, just a good trust between them. Chance slowly follows in. BOOM! Dark Kat hits! Jake and Chance are kicked out of the force and to the salvage yard. Callie, feeling sorry for them, occasionally visits to check up. They talk, more deeply, "Things have been hard for us", "Things have been worse for me too." As the city gets infested with villains and monsters, Jake and Chance create the Swat Kats, however they have difficulty figuring out were trouble is as the news always reports too late on the t.v. and radio. They could trust the Enforcer station, however there isnt always a good signal. Sometimes there is, but not always. So they introduce themselves as the Swat Kats to Callie and present the communicator to her. What I think is that she knows who they are, but she keeps it a secret to herself so that Ferral wouldn't get them in anymore trouble then they already are in. So she just pretends to question their true identities in the public eye. I believe that she would trust communicating with people she could fully trust and not just some random superheroes that show up out of nowhere. ... At least, that's my thoughts.